When I was little, my mum caught me reading Milly Molly Mandy under the bedcovers with a torch. She wasn’t cross, as I’d expected, but rather made sure the torch had enough batteries. When I reminded her of this incident only recently, she said “How can you get cross at a child who wants to read?”. It’s so true. Encouraging children to read is incredibly important, as is anything that celebrates the joy of books and reading. 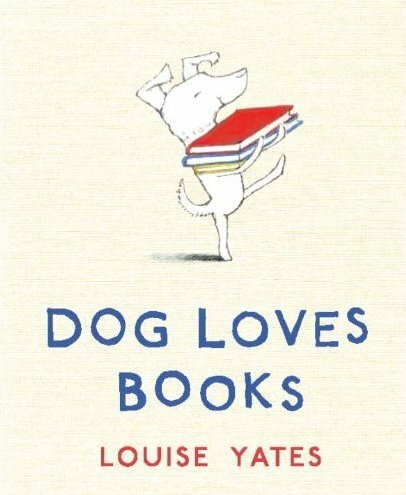 With that in mind, share the wonderful story of Dog Loves Books by Louise Yates with your child. Dog loves books about all sorts of things, from dinosaurs and rockets to kangaroos and time travel. He loves the way books smell and the way books feel. He loves books so much that he decides to open a bookshop and although he doesn’t have many customers, Dog is happy because with books around him there is always plenty of fun and lots of adventures to be had. Yates’ fine water colour illustrations and expressive characters add to the appeal of Dog Loves Books but of course it is Dog, with his endearing enthusiasm for books, who will steal the hearts of young readers. Dog Loves Books is available from Fishpond for $18.99. For a guide to the importance and benefits of reading to children, check out The Read-Aloud Handbook by Jim Trelease, available at Fishpond.